In this tutorial we are going to tell you step by step procedure on how you can create your own artistic eyeliner sitting at your home. Many a times when we are not in time of going to parlor and then waiting for hours so it’s good to get it done at your place. 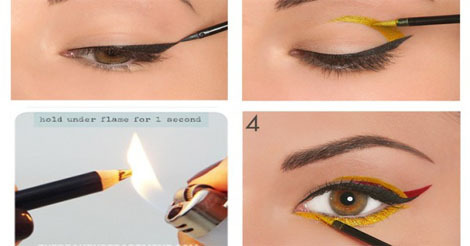 ☛ First pick the mascara and start creating an outline starting from the upper lash line of your eye towards outside. ☛ When you have done with the black shade, pick the brush and fill it with yellow and give a sharp wave upright near the eye brow. ☛ Now crossing the two make a similar wave using the red color which will intersect the lining of the yellow. 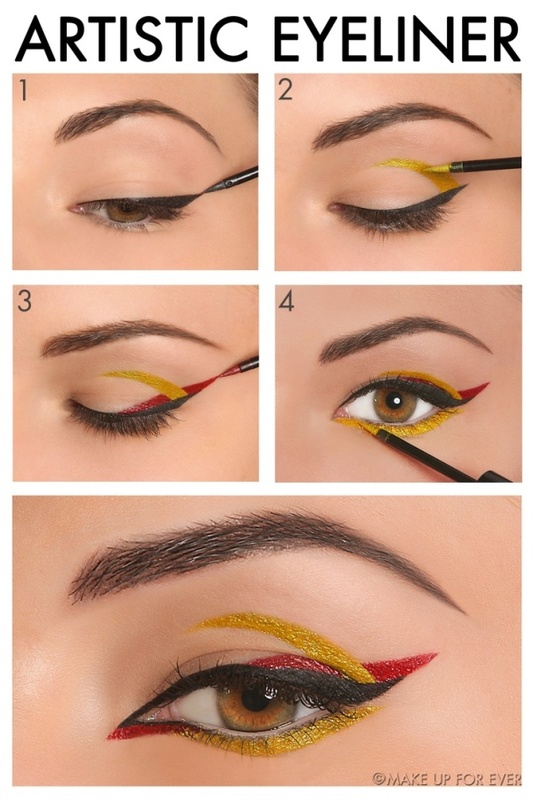 ☛ Similarly now come back to the lower lash line and start decorating it. 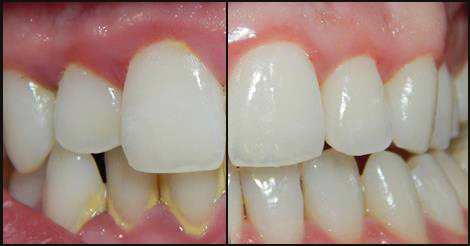 ☛ Here we will start with the red at the inner side and filling the rest of the outer side with the regular yellow shade. Now give it some finishing by removing all those spill over during the painting. Your perfect and most beautiful artistic eyeliner is all done.